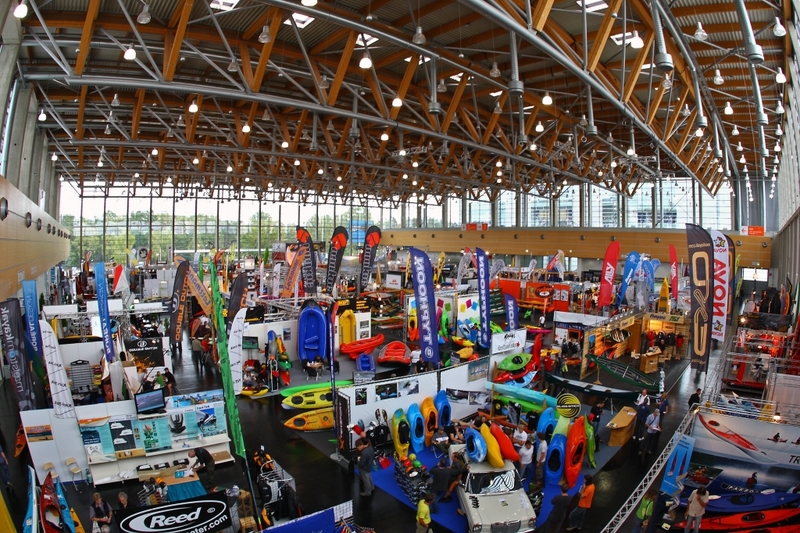 Now the leading paddlesports-only show globally, the 11th annual PADDLEexpo takes place this year Oct. 2-4, returning to a brighter — albeit smaller — hall. With a hall approximately two-thirds the size of the previous year, brands represented will number 251 compared to 271 in 2012. Many took smaller spaces in the 97,000-square-foot hall as a compromise to accomplish “more business per square foot” in a busy and lively hall. The goal, per director Horst Fürsattel, was to consciously maintain an intimate trade show focused exclusively on hardware for its international audience, avoiding other trendy or fashionable products such as sun block, flip-flops and other related but niche items found easily elsewhere. 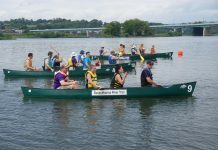 These changes, however, speak to today’s changing paddlesports industry and its internationalization as well as changes in distributor organization. For example, NRS is planning a European warehouse in the Netherlands, and importers such as Gatz Canoe and Tahe Outdoors are furthering their international expansion. A stand-up paddle (SUP) show-within-a-show at PADDLEexpo looks attractive to professionals focused on the business of SUP with the ability to take a hard look at the coming season’s plans. Global brands such as Naish, Starboard, BIC, Mistral and others organize their own international meetings annually at PADDLEexpo. Even small cult brands like Makai Boards find their place. And the SUP Lounge helps players involved in the growing trend meet and greet in a convenient setting. Now a tradition, the Industry Retailer Party on the second evening remains a highlight with food and festivities — with a focus on honoring retailers. However, an additional highlight is being added to the event in 2013. 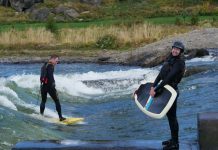 At this year’s party, the highly respected International Whitewater Hall of Fame prize will be awarded in a ceremony outside of the U. S. for the first time since its inception.